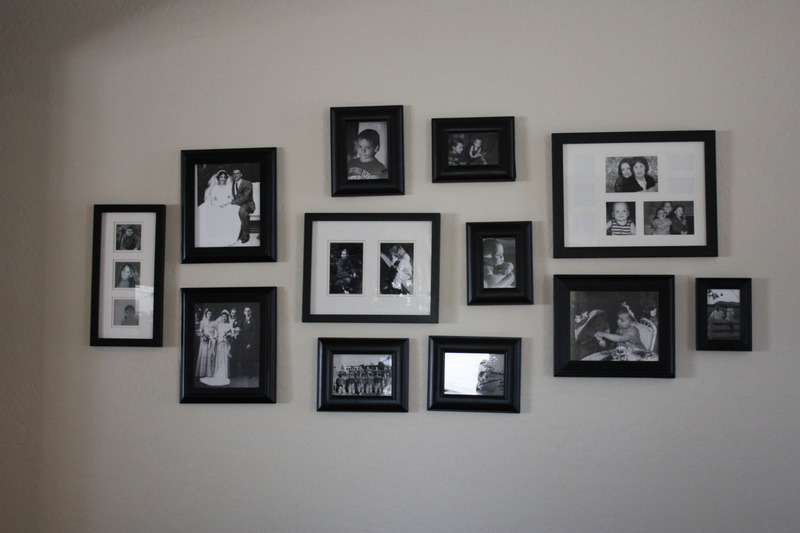 In the front entry of my home I’ve always had a photo gallery on an expansive wall. 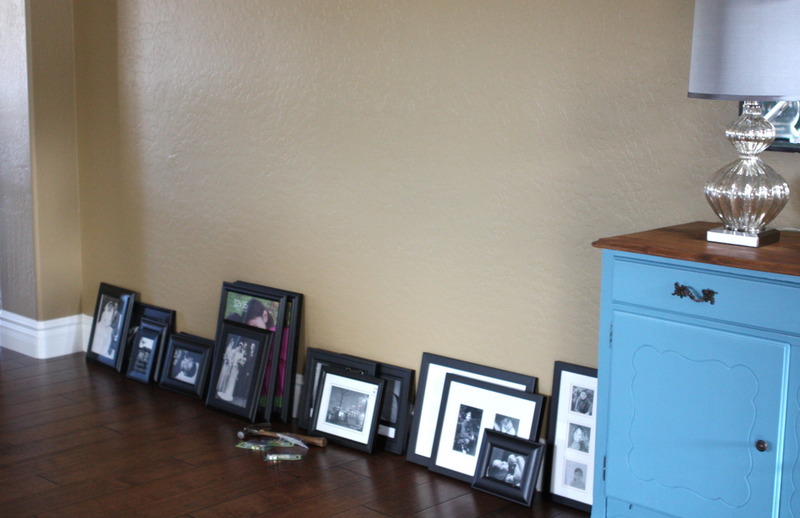 My intention was to keep adding photos to the gallery, so I’ve been collecting black frames from Goodwill and of course, never adding to that wall gallery. Those frames have been piling up. Some of the frames have come from Dollar Day Thursday but the majority are from regular shopping trips where I’ve paid up to $3.99 for them. There are a couple of big frames in there from a craft store as well but by shopping at Goodwill for the majority of frames, I’ve saved myself a chunk of change. Since the wall space is large it required a more substantial gallery than the random shaped gallery I already had, I decided to reshape it into a rectangle shaped gallery. 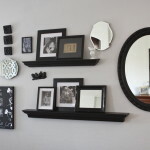 I brought out the craft paper and with the help of a couple of friends, we set out to create an eye pleasing display. 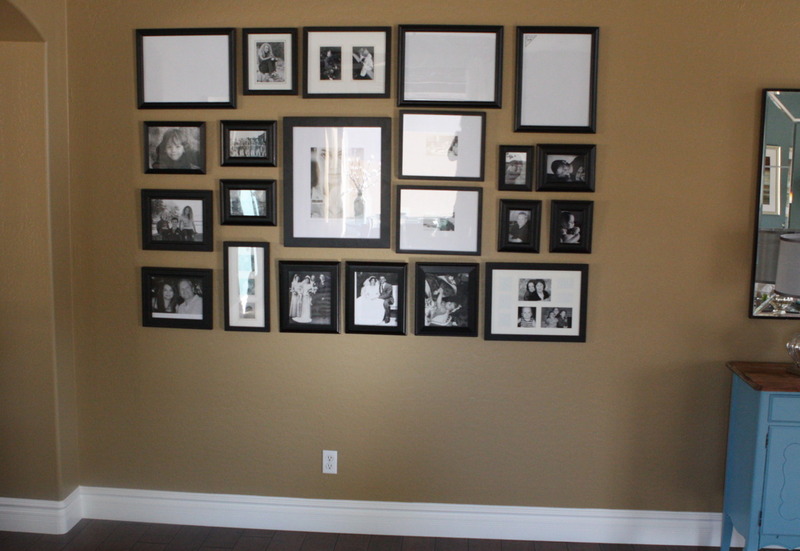 Once we agreed on a layout, I traced around each frame, then hung the paper on the wall. Using the outline as a template, I nailed picture hangers right over the paper then tore the paper down leaving the hangers in place. The gallery is not in perfect alignment due to my impatience with the little hangers on the back of the frames but I can say I’m happy the project is complete. 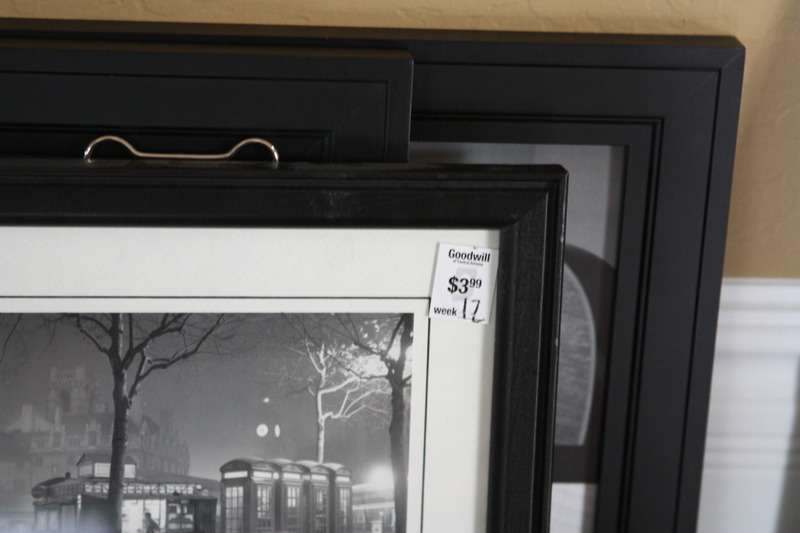 I have one more gallery to complete in my family room and this time, thanks to some Goodwill Gal readers, I’ll be using some Command picture hanging strips. 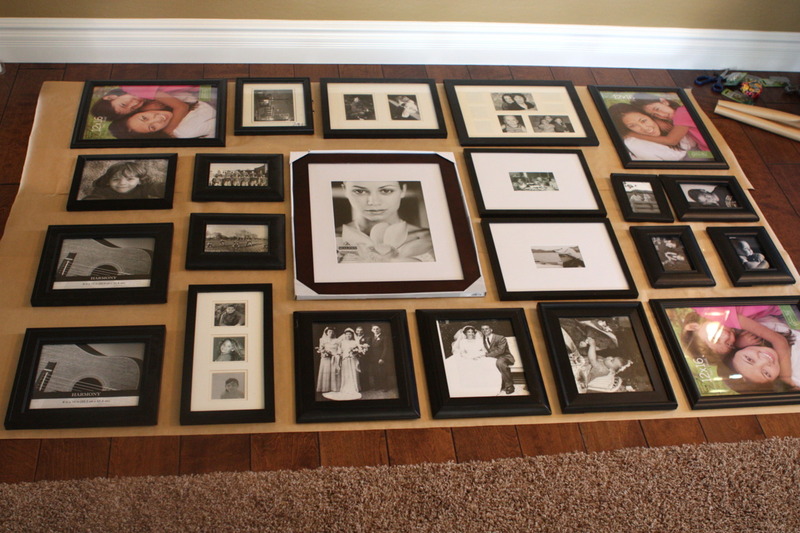 I could’ve really used them on this project because I left quite a war zone of holes behind the pictures! Ack! !